DAVID LE/Staff photo. 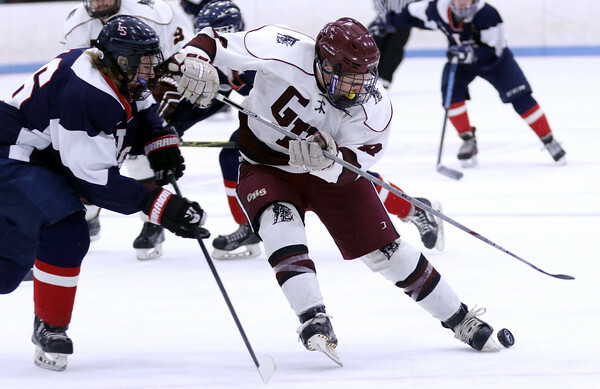 Gloucester's Sal Costanzo (8) tries to find a puck behind him and in his skates as Lincoln-Sudbury's Aidan Maron closes in. 3/8/16.